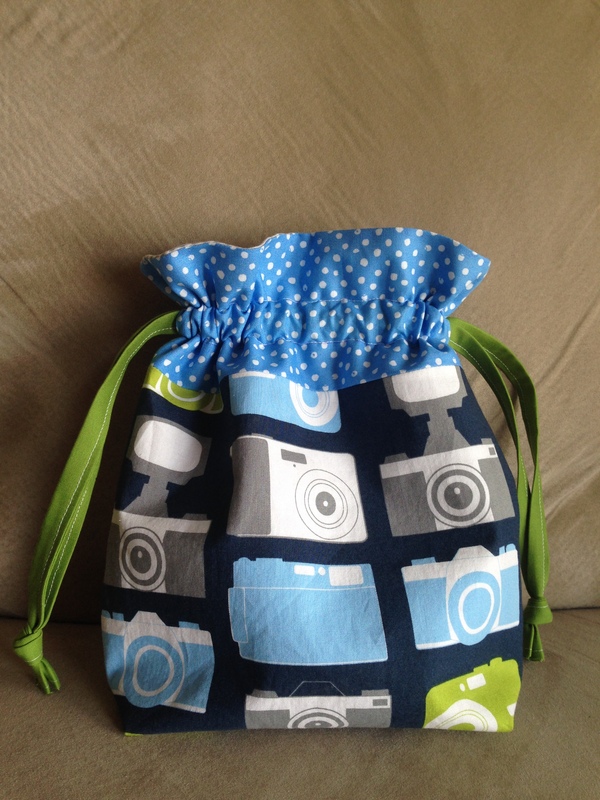 Have you seen Jeni’s FREE drawstring bag tutorial on her website, InColorOrder? The bags have been popping up on Instagram for a long time. I liked them right away but couldn’t think how to use them. Then I had a few ideas! One of my friends is a photographer. 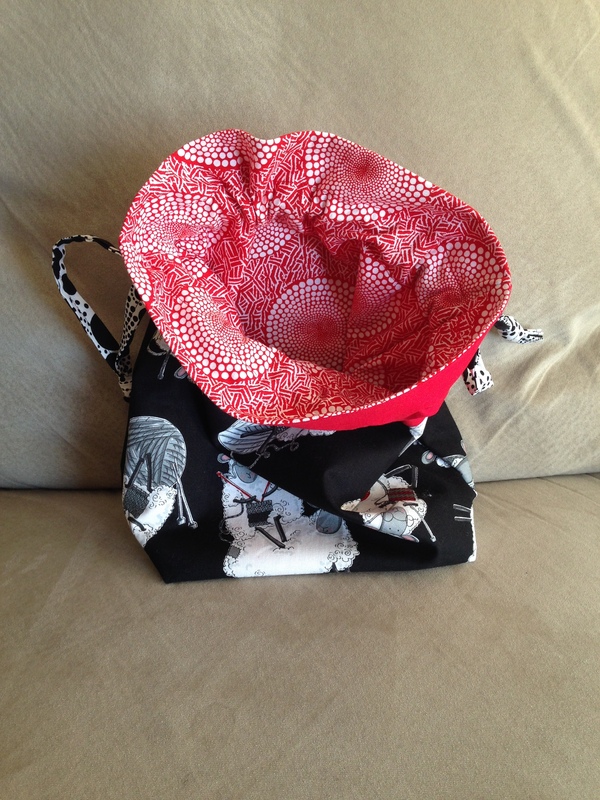 I made this bag for her. I bought the camera print probably over a year ago. I love photographs, but I didn’t want people to see it and expect my photos to be awesome as a result. They’re not. (Did you see that iPhone beauty above?! My camera lens has been severely damaged since July 2013.) Every time I saw the fabric, I thought “Laila’s the real photographer.” You can see her work here. I decided to use the fabric to make her something! I like the way it turned out. Another of my friends is a knitter. I actually don’t know her super well since she’s a friend-of-a-friend, but she has been very welcoming since I moved to D.C., where she’s been living for several years. She even invited me to join her book club. 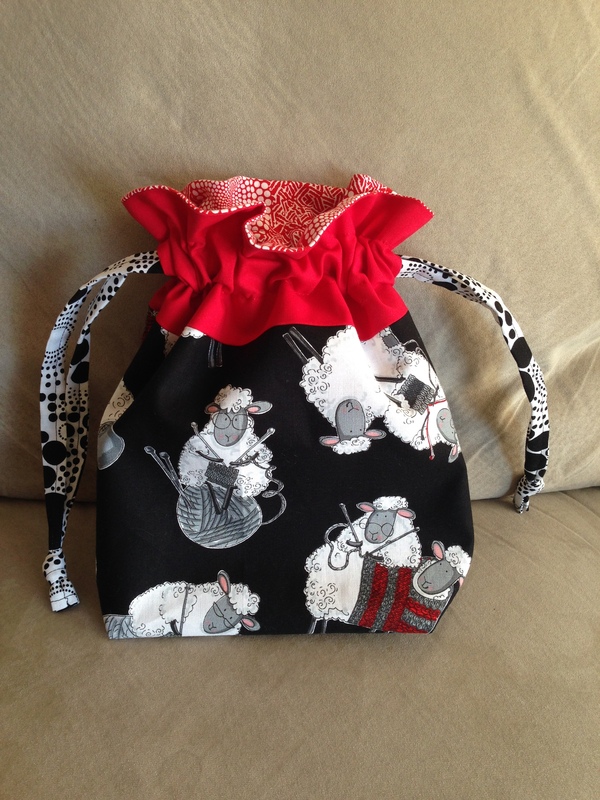 I just wanted to make a little something to say thank you, and when I saw this sheep fabric, I knew just what to make! 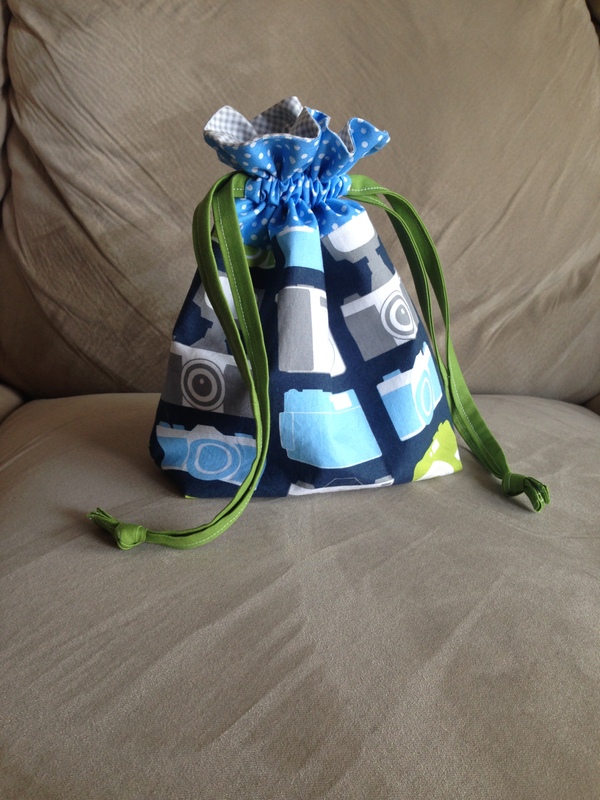 Categories: Knitting & Crocheting, Other Sewing | Tags: drawstring bag, drawstring pouch, free drawstring bag tutorial, free drawstring pouch tutorial, gift, gifts, incolororder, jeni baker, knitter, knitting bag, knitting kit, knitting supplies, photographer, photography, sew, sewing, studio 1111 | Permalink.